BANGKOK, July 6 (Thomson Reuters Foundation) – A small plastic box decorated with smiling frogs and a bright green logo, Labobo looks like a toy, but it could help prevent thousands of people from getting sick with diarrhoea and other diseases. 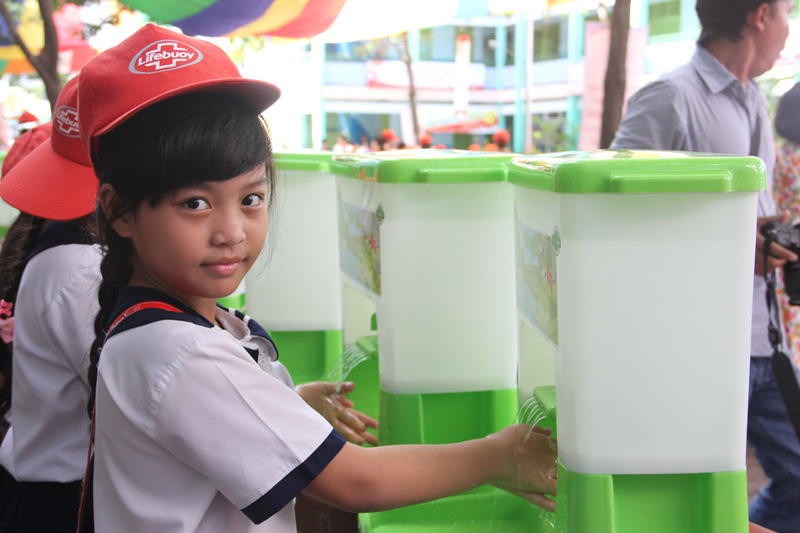 The portable plastic sink aims to encourage regular handwashing, in particular after using a toilet and before preparing food, which has been proven to prevent the spread of disease. 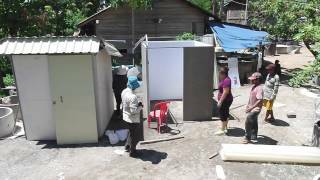 Labobo has just launched in Cambodia, which ranks lowest in Southeast Asia in terms of access to sanitation. “Handwashing is an enormous opportunity to improve health because it’s such a cheap and effective solution,” said Geoff Revell, regional programme manager at WaterSHED, a charity working on improving water and sanitation in Southeast Asia. With 38 deaths per 1,000 live births, Cambodia has one of the highest under-five mortality rates in the region, according to World Bank data. Regular handwashing can help prevent nearly half the world’s cases of diarrhoea, which kills nearly 800,000 children every year, the World Health Organization (WHO) says. Labobo – a play on the French word for sink, “lavabo” – sells at $15 per unit and dispenses up to 15 litres of water through a low-flow spout and can be placed at a height easily reachable for children. It is the brainchild of WaterSHED, one of a growing number of charities that focus on selling appealing sanitation products to consumers, rather than handing out buckets or latrines. “If you give people a bucket and a piece of soap, more often than not you will find the bucket ends up being used for something else,” Revell told the Thomson Reuters Foundation. Labobo was designed with the input of families in Vietnam’s Mekong Delta, where WaterSHED has already sold 10,000 units in a year through its social business. Despite awareness-raising campaigns, regular handwashing is a challenge in Cambodia, where 60 percent of the rural population still defecate in the open and only 44 percent are able to wash their hands with soap and water, according to the WHO. Om Prasad Gautam, technical support manager with charity Water Aid, said better hand-washing hygiene helps to boost the impact of investments in health. “It is important to have products that help people to develop a regular hand-washing habit, so that it becomes the social norm to practice it,” he said.